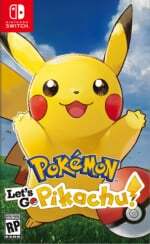 Japanese chart figures are now in for 19th November - 25th November and Pokémon: Let's Go, Pikachu! and Let's Go, Eevee! are still leading the way with an impressive second week on the market. The two games managed to generate another 162,467 sales in the region this week, adding onto last week's 661,240 tally to reach a whopping 823,707 physical sales in just two weeks (digital downloads could very likely be taking that total over a million). The nearest competitor this time around was EA's Battlefield V which secured 110,653 sales. Switch hardware continues to sell well, too, despite the Pokémon launch day effect being softened this time around; 108,375 new Switch consoles found their way into loving homes. Here are this week's figures, with last week's in brackets. Any surprises this time around? How long do you think Pokémon: Let's Go will stay on top? Let us know with a comment below. So how about we skip all the negativity when the inevitable Let's Go, Johto! games are announced? With the numbers from this and the US now, i'm very curious how many Switch consoles are out in the wild now globally. Hopefully getting close to N64 figures already. Even my PS4/Xbox loving friends are getting their hands on the hybrid! Battlefield V is doing surprisingly well in Japan. Color Zen is a free download on the eshop! Just thinking out loud... but 2019 already has a big Pokemon game confirmed, if you were to add a big 3rd party mainstream title to the mix... say a GTA V port, then we could see a crazy big year for the big N.
Holy crap the PS Vita is outselling the Xbox One! That's hilarious! @nocdaes think the only reason we haven’t had GTA V is down to the cartridge situation and file size. Think if it was smaller it would be on there already. ...so can we all just stop complaining about the game and saying it won't sell already? Those Fallout numbers likely don't take into account all the refunds, so it's probably a lot worse than this shows. So with the success of the Lets Go games selling well, could we see a gen 2 version soon? Need to keep up the flow and get more Pokémon to switch. 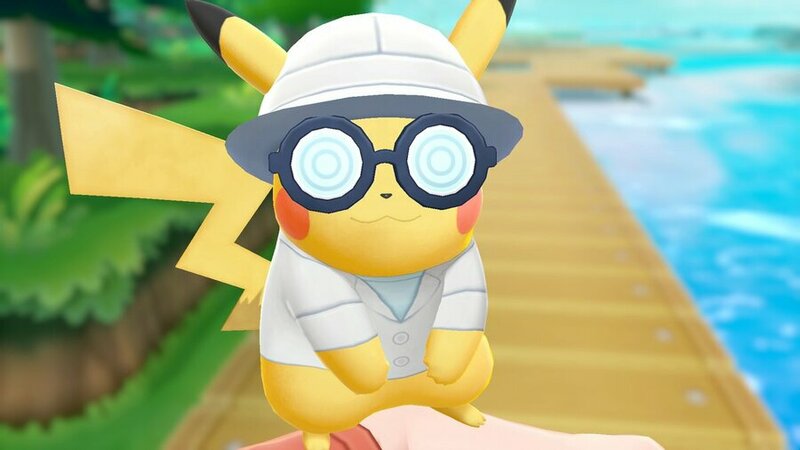 Detective Picachu. And people said this game won’t sell well. I bought it day one and still happy with this game. @Skalgrim maybe Pokemon Link Shuffle, From the 3ds? @JR150 That's not surprising though. Xbox always has it rough over there. @Mr_Pepperami I can see the single player for GTA V not being much of an issue as we did already get the game on last gen. Online has changed a lot though. They increased the player count and they don't support the last gen versions anymore which would likely be what a Switch version would be based off of. @GrailUK I can definitely see Switch support being better next year. It's already proved itself successful, so developers who were skeptical about it might be making preparations. @Mr_Pepperami Tbh, even if they gave us the online the last gen versions have, I wouldn't mind as I don't really care for the online. Others might have an issue though. Either way, I'd love GTA V on Switch. @HollowGrapeJ yeah same here. Would be more interested in the base game for sure. I’d be surprised if rockstar don’t put anything else out as from what I understand the switch version of la noire sold better than the Xbox one....err one. Got BFV as a gift from my cousin in Spain. Playing (and talking with him in game) over the holidays is a blast. @Reploid I really really hope they release Let's Go Johto games. And I hope they keep the Poke Ball Plus functionality. I don't want it to turn in to another Pokewalker "1 and done" device. Amazing how they managed to sell over 1,500 Vita consoles considering how the supplies have been drying up when it comes to Japanese imports. Surprised Cobalt isn't here yet to moan about how things have gone down hill since the WiiU. God I love this little console! It isn't perfect and I've got a list of changes I'd make, but the idea is so good they could run with this for generations to come. @bluemage1989 He’s probably thinking hard on how he can turn news like these into something negative against Nintendo. @Quarth @bluemage1989 Nah, he already used the data this morning to talk about some "Pokemon Effect" to describe the wk1 to wk2 dropoff. The thing most games have, but now with Pokemon. Also, I'm apparently a Pokeaddict. @HobbitGamer a Pokeaddict sounds dangerous. Thank goodness he was around to warn us all about you!! @HobbitGamer Sure sounds like our favorite troll! @Mgene15 @Hunt3r_Cr0wl3y I don't think we'll see Gen 2 Let's Go until 2020 at the earliest. Pretty sure Pokemon 2019 will be released into an open field. I hope the game will be localised for USA & PAL version on next year. It's having a great November sales wise......and a few big titles on the horizon for 2019 with Fire Emblem, Pokemon, Animal Crossing, maybe Bayonetta and Metroid too? Man, the XBONE X did 6 times better roughly than last week. Do they do Black Friday in Japan? I am sure the haters will whine about something else. I honestly believe the bump in Xbox One X is simply due to how powerful it is. And make no mistake, I absolutely adore that console. They rectified their mistakes with that sloppy brick of a base console, complete with that clunker of a charge brick that was bigger than a Nintendo Switch dock. They did right with the X. It may not have gained them much, but it did gain them a little something in Japan. And my coworker just bought a X1X, and I never thought I’d see the day he bought an Xbox. He originally had a payment down on a PS4 2 years ago, but changed his mind and bought a Switch instead when he saw Skyrim was coming. He always said he wanted to get a second console for a few select games, and whenever I suggested Xbox he scoffed at the idea, even at buying my original for $100. It was for sure going to be PS4. He had zero interest in Xbox. Then he tells me yesterday he bought an Xbox, and an X at that. Why? Because of how well Red Dead 2 looks on it compared to PS. I was honest to goodness shocked when I heard this because he was the last person I would expect to buy an Xbox. I mean, the guy wouldn’t even take mine which was barely even used for 100 bucks, and here he just spent $450 on an X? @JaxonH Not gonna lie, I may get an X next year or whenever the price drops. I had an original (got it when FO4 released) and eventually swapped to S, but I ditched it a few months after getting my Switch because I never really played it anymore. It was mostly my Mass Effect/Fallout box, but I dabbled in all the free games from Gold. I had Gold for 8 years, so I’ll have lots of free and my digital titles whenever I go back. That’s a huge value to me. Those are CRAZY Switch numbers! I wonder how much will it sell the week Smash drops. Just the by the numbers alone you have to wonder that is huge for a game of this size but Pokemon has name recognition as well. And it was on the market for a long time from its roots. And this just goes to show how the Pokemon market even when the card deck slowed down the electronic game is still going strong. @cowntsikin"Those are CRAZY Switch numbers! I wonder how much will it sell the week Smash drops." Well we can only tell when they release SSB. But you can already factor it might get to it but if it does get more I be surprised. But considering those Amiibos are getting harder to find what might change things. You can say that Pokemon was.......Super Effective! I will add your FC later after working time. This information is cherry picking a bit since its only the Japanese charts, if we're talking worldwide Let's Go has sold around 3 million compared to Red Dead Redemption 2's 17 million. This is amazing! I love my switch and it's satisfying to see it dominate charts in both console and game.